Carling has launched a major new advertising campaign spanning TV, out of home, VoD, cinema and social media, as well as several longer-form documentaries and a consumer PR campaign. 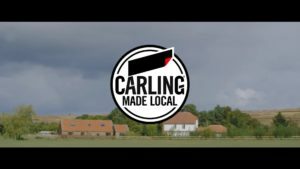 Made Local proudly celebrates Carling’s local heritage while simultaneously shining a light on the endeavours of today’s self-starters and people with a passion to help their local communities thrive. The campaign, devised by Molson Coors’ lead creative agency Havas London, is about championing and supporting those people who are making things happen in their hometown – just like Carling, proudly brewed by local people in its historic home of Burton-on-Trent. Up and down the country, regional towns are often misjudged, stereotyped or simply overlooked, and this campaign celebrates that when you look closer, there is more to these local communities and their ambitious inhabitants than meets the eye. 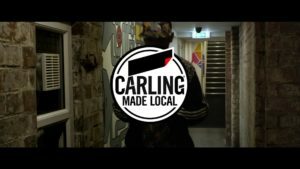 Two spots will run on TV – one telling the story of Carling’s provenance and the skill and dedication of its Burton brewers, the other that of a local LGBT+ run Sunday League football team in Wolverhampton – while the cinema spot tells a wider range of stories of those people who are ‘making it’ in their hometown. These stories, including those of a group of cold-water surfers in Pease Bay in Scotland who make and surf on their own boards, and a band in Swansea who are fighting to keep the spirit of Welsh punk alive in the face of a bout of live music venue closures, are explored in more detail in a series of documentaries. Carling has also committed to a multi-million-pound investment over the next three years into community projects that help local culture, community spirit and creative endeavour thrive up and down the country through its Made Local Fund. Anyone can apply for funding at the website for projects that make a positive impact on the local community, are inherently sociable and bring people together, support long-term, sustainable projects and are at a grassroots, not-for-profit level.